The Zambian government is working round the clock to shut down online media that does not ‘support’ the Patriotic Front led government. 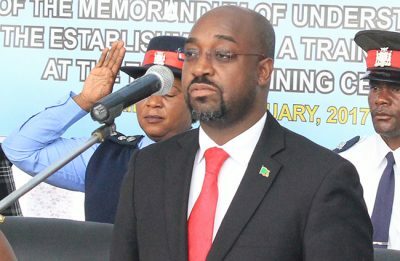 Transport and Communications Minister, Brian Mushimba has today reiterated that the Special Joint Cyber-crime Crack Squad (SJCCS) that government recently established is currently working round the clock to identify individuals behind online media platforms that are allegedly insulting the ‘PF’ government. Mushimba cited the arrest of a Luapula based teacher who was recently handed a two year jail sentence for insulting President Edgar Lungu on Facebook as an example of what the Crack Squad will soon be doing. Mr Mushimba’s argument is that the wider and increased availability of the digital platforms such as the internet and mobile technology has led to some individuals using ICTs to propagate illegal vices. But it is however clear that the intent is to silence free flow of information because each time a government official talks about this issue, they start by referring to online media that they accuse of spreading hate speech and inciting the public to revolt against government.